- Triple wall insulated all steel cabinet. - Centrifugal Blower equally circulates air in all corners of cabinet. - Digital temp. Controller keeps cabinet temp. Max 40 C, Recommended by most of emulsion manufacturer. - Drying tray adjust to any size of frame. 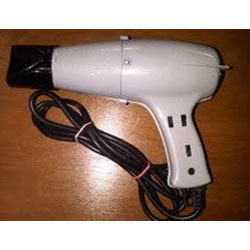 - High air volume guarantees fast drying. We manufacture SLDF (Spiral Link Dryer Fabric). For this purpose we import polyester Monofilament yarn from M/S Nextrusion, Germany which is the best manufacturer of this product in all over the world. - Fully powder coated rugged machine. - Hot air circulation system given. 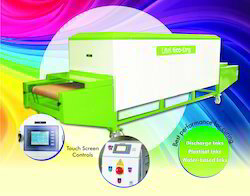 - High quality drying unit. Belt Width: 59" to 78"
- World class metal halide screen exposing machine. - Ideal machine for all types of screens especially high density screens. - Easy operation through hydraulic springs system. - Electronic Ballast switching for zero maintenance. We are supplier of Flat Bed Screen Dryer having 15/20 Vertical Screens & Maximum 98' x 98' outside dimensions of Screen with Round/Square or Rectangular Section (Ichinose Machine Type) of Screen Mild Steel OR Aluminium Pipe.Custom made Screen dryer can be manufactured. We are one of the most well-distinguished companies in the market that are into offering Screen Dryer Machine. It is very easy to operate and smooth in running. Process is Safe for its operators and surrounding environment.